Iceland is a place of many wonders. It’s a place where extremes coexist – the midnight sun takes hold during summer, whilst the winter months only gift you a few precious hours of sunlight. It’s a land of active volcanoes and a place where some of the world’s massive glaciers call home. Iceland has been on my travel list for quite some time now and today I wanted to share with you my itinerary of 10 incredible and interesting things to do in Iceland. Adventures like glacier walks in Iceland are very popular and hiking on a glacier is one of the most exciting things one can do! I’m not a very outdoorsy type of person but with different levels of difficulty even I could take a glacier walk. Glaciers take hundreds if not thousands of years to form so how incredible would it be to be able to take a glacier walk? The prospect of guided tours is really good but if you’re looking to truly delve deep into all that Iceland offers a self-drive tour is a must! There are even 4-day tours on offer for those of us who want to take a mini break during our long holiday in Iceland. Or if you prefer to take it easy you can take a tour on the ring road that circles the country in search of the best places to take a dip! The world famous Blue Lagoon is a man-made geothermal spa and one of the most visited attractions in Iceland. Sure, it may be full of tourists and visitors but it’s all with good reason! The warm waters (37–39 °C /99–102 °F) are full of sulfur and silica and are said to help those with skin conditions like psoriasis. If you don’t suffer from psoriasis you can still enjoy the rejuvenating effects of this mineral-rich water. Few things are as marvellous and awe-inspiring as the Aurora Borealis, most commonly known as the Northern Lights. 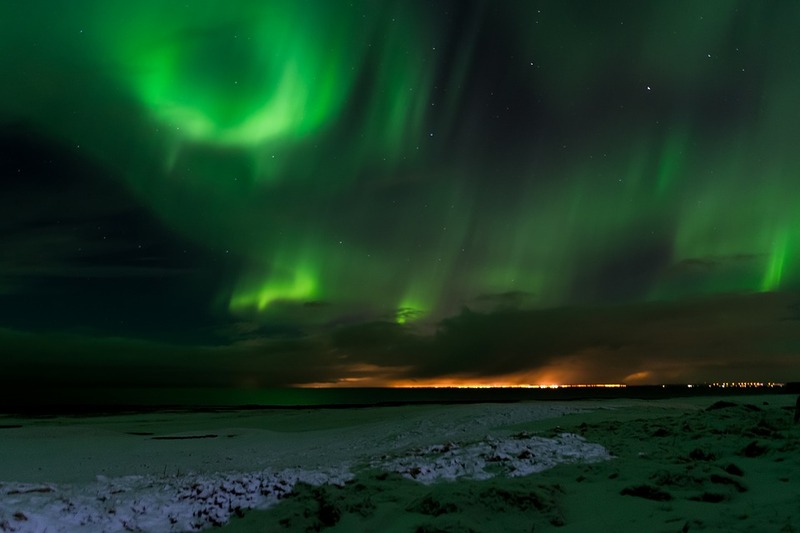 This display of lights created by the earth’s magnetic field interacting with charged particles from the sun. The protons and electrons that leave the sun and charge into our earth’s magnetic field are what create the majestic colours that one sees when looking at the Northern Lights. Did you know that the lens of a camera can pick up the Aurora Borealis better than the naked eye can? One of the many unique parts of Iceland is the tectonic plates where North America and Europe shift away from each other. The movement of the tectonic plates causes little cracks to form and those cracks eventually allow rivers and lakes to be created. You can follow the pathway on land or you opt to join the many who have dived between these two tectonic plates. The unique location makes it a must for divers but the vast visibility makes it even more of a destination that is a must see! If you’re not a diver there’s no issue as you can also swim or snorkel in this beautiful location. 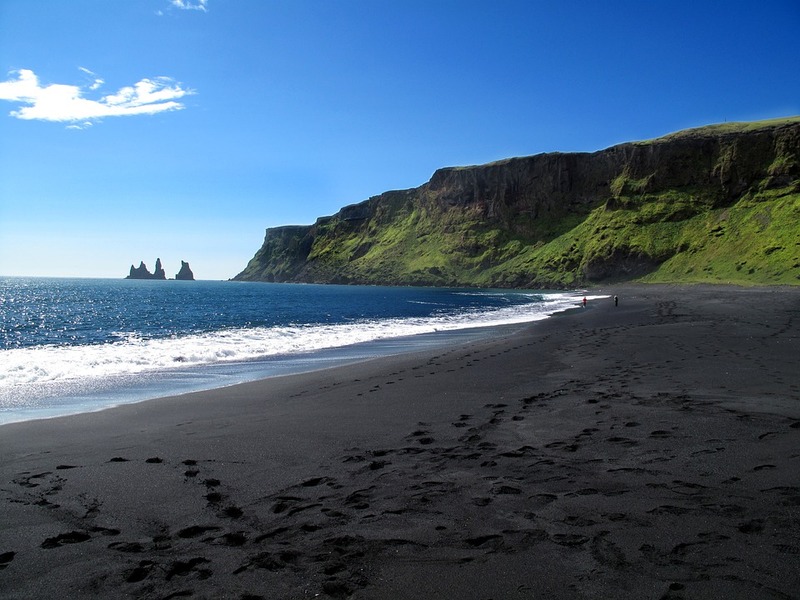 With it’s one of a kind black sand Djúpalón Beach is something to experience. Nestled inside Snæfellsjökull National Park the black sands of Djúpalón Beach are easy to access via an asphalt road that leads straight through the park. Located in the Icelandic capital of Reykjavik this uniquely designed church tends to be a highlight for anyone visiting the country. The unique design of the church, which was modelled after Svartifoss Waterfall at the southern point of the country, is not only a place of worship and a must-see tourist destination. It is also a lookout point. There is a lift that takes you to the highest point of the church which allows you to take in views of Reykjavik. Whilst you’re in the area you can take a detour to the Tulipop shop. Tulipop is a unique brand that features incredible little characters that inhabit the magical Tulipop island. The characters are not only cute they are also flawed and deal with real-life worries – making them that much more loveable! Another thing that is extremely important is how safe Iceland is. The safety of Iceland is one of its main attractions for many. The crime rate is low and that’s something that any traveller can always appreciate. One of the many reasons why there isn’t a lot of tension between the citizen’s of Iceland is the lack of classism (which is something that I think we can definitely learn from). For a country that has a high ratio of gun ownership, gun violence is virtually none existent. The process of gun ownership is complex and taken very seriously. So there you have it! 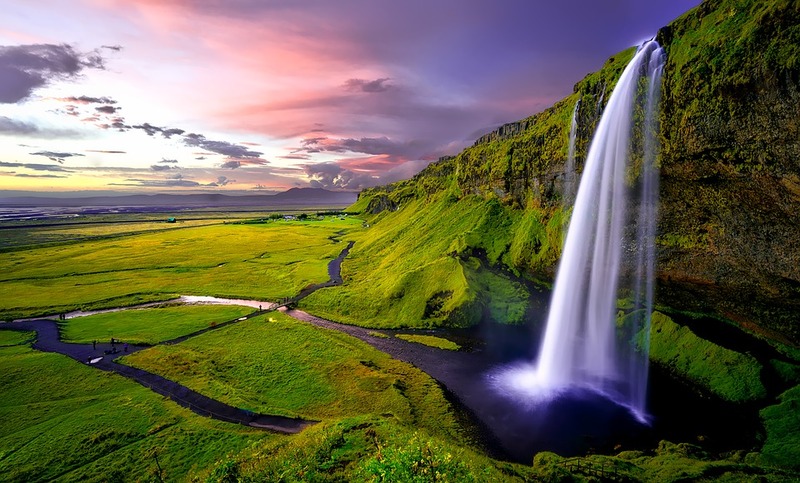 With its magnificent wonders and contradictory landscapes that seem to be in perfect harmony, Iceland is a must-see for anyone that appreciates a place that is full of culture, magical scenery, and someplace that can transport you from the real world to a paradise that is beyond compare. Bonus Tip – don’t be caught without an internet connection in Iceland. Hire a pocket mobile WiFi hotspot to see you through your trip. A pocket mobile hotspot, like this brilliant one from Trawire, literally fits in your pocket! Which means you can keep connected to the internet as seamlessly as possible without missing a beat! Previous Post Ever Wondered if You Have Psychic Abilities? Take the Am I Psychic Quiz and See!